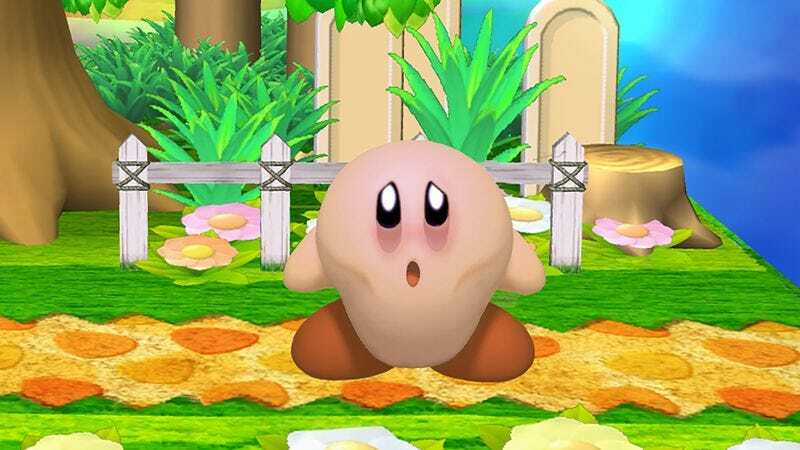 DREAM LAND—With large bags under his oval-shaped eyes and his skin a pallid shade of bubblegum pink, a gaunt, sickly Kirby announced Wednesday that he would be taking a leave of absence from video games after being diagnosed with stomach cancer. “After a biopsy by Dr. Mario discovered a series of tumors along my gastrointestinal tract, I received a diagnosis of stage IV stomach cancer and will be taking an immediate and indefinite hiatus from all fighting, puzzle, and racing games,” said the pink puff, his voice frail as he explained that the tests from HAL Laboratory attributed the diagnosis to complications from frequently inhaling oversized enemies, eating over 40,000 calories of junk food—including whole hams, pizzas, and cakes—on a daily basis, and inflating his stomach to serve as a buoyant flight device. “I was so focused on obtaining all the Crystal Shards and ridding Mirror World of Shadow Kirby, I didn’t realize how much I was neglecting my health. I wish it hadn’t gotten to this point before I fully understood that I should cut back on shooting fireballs out of my mouth or maybe take it easy with the Maxim Tomatoes.” At press time, King Dedede and Meta Knight had issued a joint statement saying they would not hatch any diabolical schemes on Planet Pop Star out of respect for their ailing colleague and wished him a speedy recovery.